What is GDAL and RGDAL? GDAL stands for Geospatial Data Abstraction Library and is a popular open source GIS library originally developed and maintained by Frank Warmerdam with contributions from many. 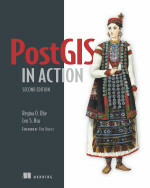 It is used in GIS for processing various types of GIS datasources - both Vector and Raster data. The GDAL part generally refers to RASTER functionality while the complementary OGR refers to Vector data. The RASTER functionality is very useful in analysis such as analysing Weather satellite raster data and Digital Elevation Models (DEMS) or converting between RASTER formats. RGDAL is an R-statistical package that makes these library functions available from the R statistical environment (both RASTER and Vector functions) - thus making them available within PostgreSQL PL-R environment. In this exercise we shall install and play with this library first from R and then from within PostgreSQL. chooseCRANmirror() - not all CRAN Mirrors have the sp package so try the one closest to you and if that one doesn't have it, then try another. 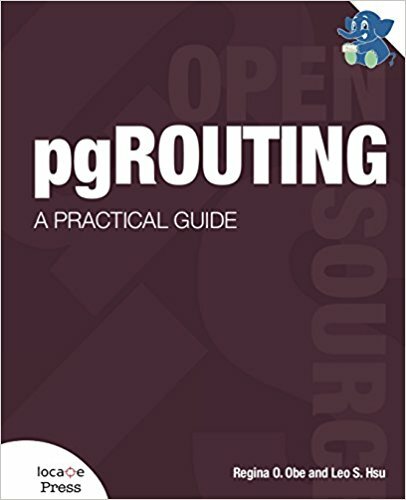 Download the RGDAL library and manual from here - http://cran.r-project.org/web/packages/rgdal/index.html. NOTE: For Windows users, you can use the binary provided if you do not want to compile yourself. Once compiled or binary unzipped - copy the resutling rgdal folder into library folder of your R install. Launch RGUI. A lot of these excercises are similar to ones documented in the RGDAL help file. Now lets test drive the library. Locate a small image on one of your drives. E.g. for windows users, you can copy an image to root of C of server or something of that sort for linux usual /usr/local/whatever will work fine. Then do something like. Closing GDAL dataset handle 0x048f1230...  destroyed ... done. Now lets try with some real Geospatial data. Download Digital Elevation Model (DEM) International sample from http://www.mapmart.com/DEM/DEM.htm and extract files into a folder. The below R code will open up the CustomArea file and start at position Y=8, x=6 of the file and show 5 rows and 3 columns on the R graphics device. Will give you just the band1 column which gives the elevation levels. Now switch over to PostgreSQL and use PgAdmin or psql to write the function. Below is a simple PL/R function that loads the R library and reads the meta data from a file passed in. Here is how we can use the above function from within PostgreSQL that returns a bit of info from the file we pass in as argument and the element piece we want. Keep in mind the path is relative to the PostgreSQL server since R is installed on the server and that this function will work for any GDAL supported file format such as DEM or GeoTiff or JPEG etc..